Charriol sets sail for new horizons with this latest timepiece inspired by Christopher Columbus: the Colvmbvs™ Grande Date GMT. Its generous case, for the first time in steel with a pink gold PVD treatment, makes no secret of its ties with the wide-open seas. The triangles around the caseband allude to the markings on a compass rose, the crown takes the shape of a rigging shackle, and the transparent back is engraved with the intrepid explorer's profile. 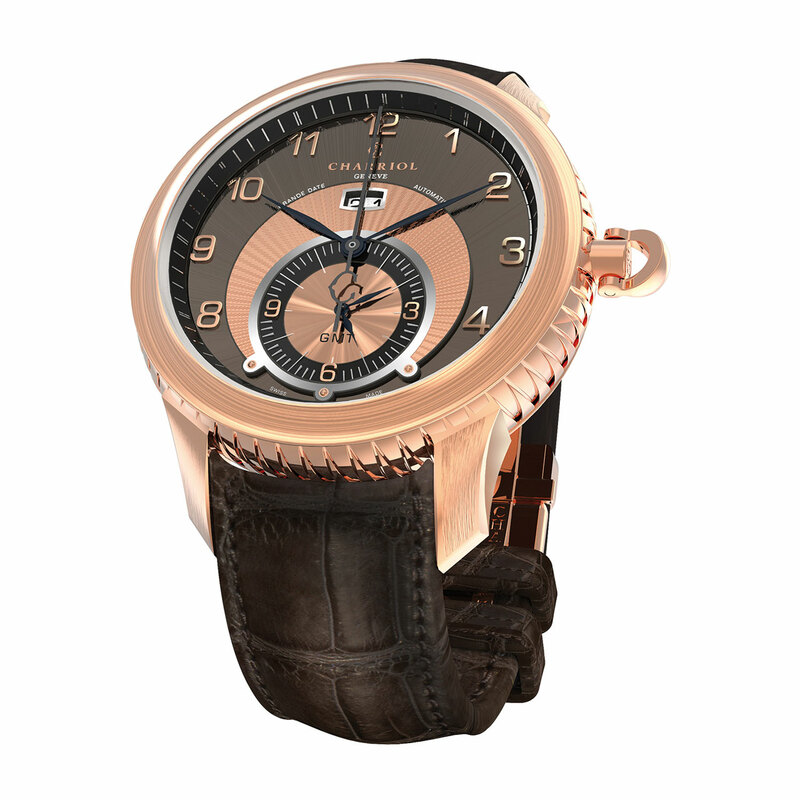 Elegant contrasts are assured by the anthracite of the dial which frames a large date and a second time zone.